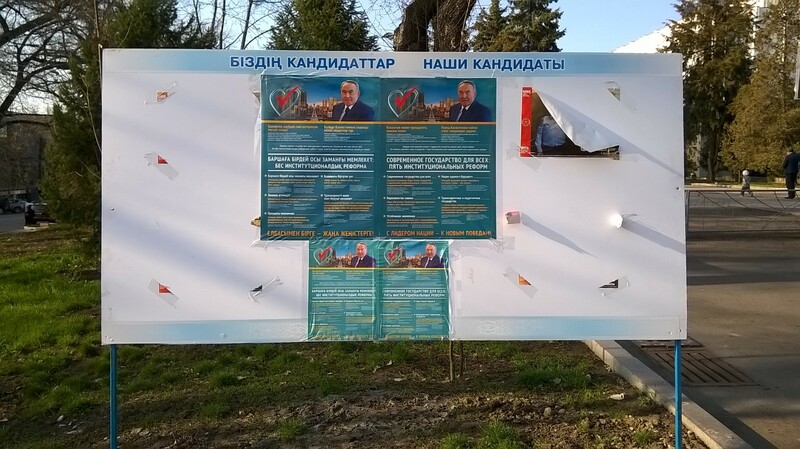 The presidential re-election reaches its climax on Sunday as Kazakhstan goes to the polls to elect its president for another five-year term. Kazaxia is pleased to present a who’s who for the upcoming vote. In this election the voters have a choice between three candidates: The Leader, who is the incumbent, Sovieticus Redux, the communist and the Invisible Man, who is possibly standing on an environmental ticket. 1. The Leader, having led the country since 1989, is the red-hot favourite to romp home to victory in this three-horse race. This time round he is promising enduring stability as the only alternative to the chaos change would bring. 2. Sovieticus Redux is the Communist National Party of the People of Kazakhstan candidate. He has campaigned on an anti-Western materialism ticket. No doubt he drives a battered old Moskvitch rather than a Range Rover or Porsche, uses a Soviet-era telephone in place of an iPhone and wears a suit he bought in Moscow in 1974 – no Armani for him. 3. The Invisible Man has led a low-key campaign to the point of invisibility. It is believed that he has some concerns about the environment.